Position, academic degree and rank: head of the Department of Botany, Biological Recources and Conversation of Biological Diversity, associate professor, Candidate of Biological Sciencies. She has been working at the university: since 2003. Higher education: in 2002 she graduated from Ivan Franko Zhytomyr State Pedagogical University (this is Ivan Franko Zhytomyr State University nowadays) with the speciality «7.010103 EPSS. Biology and Chemistry» and specialization in teaching biology, chemistry, valeology and basic concepts of ecology at high school (diploma TM No. 21223747 as of June 30, 2002). In 2003 she received her Master’s at the same university with the speciality «8.010103 EPSS. Biology» and specialization of biology instructor (diploma TM No. 23441753 as of June 30, 2003). PG course and Doctorate: in 2006 she graduated from PG course at the Department of Botany of Ivan Franko Zhytomyr State University with the speciality 03.00.17 — hydrobiology. Theme of the thesis: she defended the thesis on «Production and taxonomy of phytoplankton of the Dnipro middle indraft» and received the degree of Candidate of Biological Sciencies (Cand. thesis No. 042348 as of September 20, 2007) with the speciality 03.00.17 — hydrobiology. Advanced training: 2012, National Academy of Sciences of Ukraine Institute of Hydrobiology (NAS of Ukraine Institute of Hydrobiology Order No. 3 as of January 27, 2012). The theme of advanced training «Autoccoids peculiarities of Lower and Higher Plants Water Environment of Ukraine» (certification 113/172, 27.03.2012). Number of published works: 61 papers. Papers were published in international research bases — 6 (SCOPUS). Scientific domains: structure and functions of autotrophic component of diverse aquatic bodies in the Middle Polissia. She co-authored 2 workbooks approved by thе Ministry of Education and Science of Ukraine. She lectures on: Botany (Anatomy and Morphology of Plants), Algaeology. Position, academic degree and rank: professor, Doctor of Biological Sciences. She has been working at the university: since 1996. Higher education: in 1993 she graduated from Ivan Franko Zhytomyr State Pedagogical Institute (this is Ivan Franko Zhytomyr State University nowadays) with the speciality «Biology and Chemistry» and specialization in teaching biology and chemistry at high school (diploma KP No. 900655 as of June 30, 1993). PG course and Doctorate: in 1996 she graduated from PG course at the Department of Zoology of Ivan Franko Zhytomyr State University with the speciality 03.00.08 — zoology. In 2010 she received her doctorate at the Department of General Biology of Ternopil Volodymyr Hnatyuk National Pedagogical University with the speciality 03.00.17 — hydrobiology. Theme of the thesis: she defended the thesis on «Morphofunctional peculiarities of the poral apparatus of some Bivalvia groups» and received the degree of Candidate of Biological Sciences (Cand. of Sc. No. 014227 as per resolution of special academic council of the National Academy of Sciences of Ukraine I. I. Schmalhausen Institute of Zoology as of June 10, 1997, record № 1) with the speciality 03.00.08 — zoology. She defended her doctorate thesis on «Physiological and biochemical adaptational mechanisms of freshwater mollusks for biotic and abiotic changes of water environment» and received the degree of Doctor of Biological Sciences (Doc. thesis No. 009368 as of April 22, 2011) with the speciality 03.00.17 — hydrobiology. Advanced training: workshop «Methods to develop critical thinking at higher educational institutions» (September 27 — December 21, 2003, certificate of attendance No. 581 as of December 21, 2003). Doctoral studies at Ternopil Volodymyr Hnatyuk National Pedagogical University (2007-2010 certificate No. 1053 as of November 15, 2010). Number of published works: more than 150 papers. Papers were published in international research bases — 22 (SCOPUS). Scientific domains: hydrobiology, aquatic toxicology, environmental biochemistry and physiology, histology of freshwater mollusks of Ukraine. She co-autohred 3 workbooks approved by the Ministry of Education and Science of Ukraine. She lectures on: Biochemistry, Molecular Biology, Functional Biochemistry, Biomonitoring of Environmental Waters, Environmental Biochemistry.. Position, academic degree and rank: associate professor, Candidate of Biological Sciencies. She has been working at the university: since 1990. 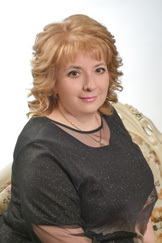 Higher education: in 1990 she graduated from Ivan Franko Zhytomyr State Pedagogical Institute (this is Ivan Franko Zhytomyr State University nowadays) with the speciality «Bilogy and Chemistry» and specialization in teaching biology and chemistry at high school (diploma MV No. 039431 as of June 30, 1990). PG course and Doctorate: in 2002 she graduated from PG course at National Academy of Sciences of Ukraine M. G. Kholodny Institute of Botany with a speciality 03.00.12 —physiology of plants. Theme of the thesis: she defended the thesis on «Autacoids of fungi and their influence on the growth of Higher Plants» and received the degree of Candidate of Biological Sciencies (Cand. thesis No. 016294 as of October 9, 2002) with the speciality 03.00.12 — physiology of plants. Advanced training: 2011, National Academy of Sciences of Ukraine M. G. Kholodny Institute of Botany (NAS of Ukraine Institute of Botany Order No. 44 as of Arpil 21, 2011). The theme of advanced training «Phito-hormon regulation of High Water Plants» (certification 32, 21.04.2011). Number of published works: 36 papers. Scientific domains: Phytohormonic status of aquatic higher plants. 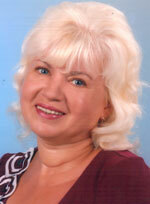 She co-authored a workbook approved by the Ministry of Education and Science of Ukraine. She lectures on: Physiology of Plants. She has been working at the university: since 2001. Higher education: in 2000 she graduated from Ivan Franko Zhytomyr State Pedagogical University (this is Ivan Franko Zhytomyr State University nowadays) with the speciality «Biology and Chemistry» and specialization in teaching biology, chemistry, valeology and basic concepts of ecology at high school (diploma TM No. 13941611 as of June 30, 2000). PG course and Doctorate: in 2006 she graduated from PG course at the Department of Zoology of Ivan Franko Zhytomyr State University with the speciality 03.00.08 — zoology. Theme of the thesis: she defended the thesis on «Mollusk family Planorbarius (Castropoda, Pulmonata, Bulinidae) of Ukraine: analysis of morphological, karyological and genetic features» and received the degree of Candidate of Biological Sciencies (Cand. thesis No. 040670 as of April 12, 2007) with the speciality 03.00.08 — zoology. Advanced training: 2011, Department of Basic Evolutionary and Genetic Concepts of Taxonomy of the National Academy of Sciences of Ukraine I. I. Schmalhausen Institute of Zoology (NAS of Ukraine Order No. 140 as of September 29.2011). The theme of advanced training «Evolutionally — genetical mechanism of diversity changes, which are actual for rational using of natural resources» (certification 127, 29.09.2011). Number of published works: 49 papers. Papers were published in international research bases — 1 (SCOPUS). Scientific domains: karyology, karyotaxonomy, malacology. 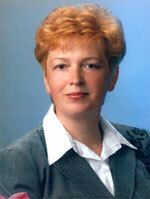 She co-authored 2 workbooks approved by the Ministry of Education and Science of Ukraine. She lectures on: Methods of Teaching Biology, Methods of Teaching Biology at University. Position, academic degree and rank: assistant professor of Botany department, biological resources and maintenance of biodiversity, candidate of Biological Sciences. She has been working at the university: 1986. Higher education: in 1985 she graduated Zhytomyr Ivan Franko State Pedagogical Institute (now Zhytomyr Ivan Franko State University) and obtained a degree in «Biology with additional specialty chemistry» and gained the qualification in in teaching biology and chemistry at high school and a title of high school teacher (diploma G-II No. 219123 as of June 30, 1985). PG course and Doctorate: from 1985 to 1998 researcher at the Department of Zoology of Zhytomyr Ivan Franko State Pedagogical Institute. Theme of the thesis: passed Ph. D. defense «Mollusks family Lymnaeidae (Gastropoda, Pulmonata) of Ukrainian Polesia (fauna, ecology, biology)» and gained doctoral certificate of biological sciences (Cand. thesis No. 001329 as of October 14, 1998) with the speciality 03.00.08 — zoology. Advanced training: in 2013 at Department of botany and zoology of Ternopil Volodymyr Hnatiuk National Pedagogical University. The subject of probation is «Studying of Higher aquatic vegetation as biological indicators» (certificate № 107-33/03 from January 23, 2014). Number of published works: 46 research papers. Scientific domains: fauna, ecology and biology of mollusks family Lymnaeidae. 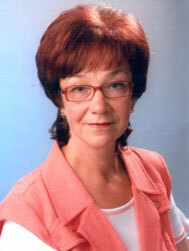 She published study guide with visa Ministry of Education and Science of Ukraine (co-authorship). She lectures on: Fundamentals of Natural Science, Methods of writing study guides. She has been working at the university: 1981. Higher education: in 1981 she graduated with honours Zhytomyr Ivan Franko State Pedagogical Institute (now Zhytomyr Ivan Franko State University) and obtained a degree in «Biology with additional specialty chemistry» and gained the qualification in in teaching biology and chemistry at high school and a title of high school teacher (diploma ZhV-I No. 12857 as of June 30, 1981). PG course and Doctorate: in 1985 she finished postgraduate studies at the Department of Virology of Taras Shevchenko National University of Kyiv. Theme of the thesis: passed Ph. D. defense «Infectious sterility of hops and measures to combat it» and gained doctoral certificate of biological sciences (BL No. 025145 as of March 13, 1991) with the speciality June 01, 2011 — plant protection from pests and diseases. Advanced training: 2010, at Department of General Ecology of Zhytomyr National Agroecological University (ZNAU Order No. 24 as of January 22, 2010). The subject of probation is «Macromycetes of Zhytomyr Polesia». Number of published works: 44 research papers. Scientific domains: phytovirology; theory and methodology of teaching natural sciences. She lectures on: Botany (systematics of plants), Mycology. 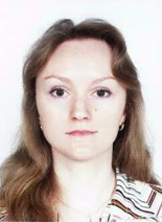 She has been working at the university: 2001. Higher education: in 2000 graduated with honours Zhytomyr Ivan Franko State Pedagogical Institute (now Zhytomyr Ivan Franko State University) and obtained a degree in «Biology and chemistry» and gained the qualification in in teaching biology and chemistry, valeology and fundamentals of Ecology (diploma TM No. 13941618 as of June 30, 2000). In 2001 she finished with honours education and qualification level «Magister» in this university with the speciality «Pedagogy and methodology of secondary education, Biology», and gained qualification of magister in teacher education, biology teacher (diploma TM No. 16823868 as of June 30, 2001). 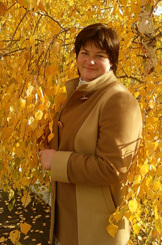 PG course and Doctorate: in 2004, she finished postgraduate study at the Department of Zoology of Zhytomyr Ivan Franko State University with the speciality 03.00.08 — zoology. Theme of the thesis: passed Ph. D. defense «Systematic structure of families Bithyniidae, Lithoglyphidae, Melanopsidae (Mollusca: Castropoda: Pectinibranchia) based on conchological, anatomical and kariolohichnyh researches» and gained doctoral certificate of biological sciencesCand. thesis No. 039698 as of July 15, 2007) with the speciality 03.00.08 — zoology. Advanced training: in 2014, at the Department of General Biology and methods of teaching natural sciences of Ternopil Volodymyr Hnatiuk National Pedagogical University. The subject of probation is «Innovative methods of teaching cycle’s natural sciences». Number of published works: 30 research papers. Scientific domains: caryology of front-branchial mollusks. She lectures on: Soil Science, Basic scientific research in biology, Plant ecology, History of biology. 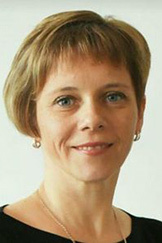 She has been working at the university: 2004. Higher education: in 1999 graduated with honours Zhytomyr Ivan Franko State Pedagogical Institute (now Zhytomyr Ivan Franko State University) and obtained a degree in «Biology and Сhemistry» and gained the qualification in teaching biology and chemistry, valeology and fundamentals of Ecology (diploma TM No. 053091as of June 30, 1999). PG course and Doctorate: in 2007, she finished postgraduate study at the Department of Zoology of Zhytomyr Ivan Franko State University with the speciality 03.00.08 — zoology. Theme of the thesis: passed Ph. D. defense «Peritrichous infusoria (Ciliophora, Peritrichia) of waste treatment facilities Zhytomyr» and gained doctoral certificate of biological sciences (Cand. thesis No. 053091 as of May 27, 2009) with the speciality 03.00.08 — zoology. Advanced training: in 2012, at the Department of Invertebrate Fauna and Systematics in the I. I. Schmalhausen Institute of Zoology of National Academy of Sciences of Ukraine (NAS of Ukraine Order No. 36-k as of January 20, 2012). The subject of probation is «Paleontological research in biology. Features of molecular genetic studies of life forms» (certificate number 113 of March 20, 2012). Number of published works: 33 research papers. Publications in international scientometrical data bases — 1 (SCOPUS). Scientific domains: taxonomy, morphology, ecology of Peritrichous infusoria. Patent for invention: UA Patent, G01 N 33/18, C 02 F 3/34. Valuation procedure of the number periphytic protozoa for the relative strength of their stages of settlement / H. Ie. Kyrychuk, L. A. Konstantynenko, I. V. Dovhal; S. S. Kramarenko. — № 106789. — App. October 15, 2012; Publ. October 10, 2014, Bul. № 19. — 4 p.
She lectures on: Geology, Gene engineering, Protistology. 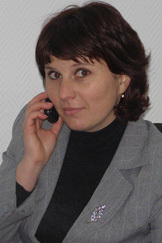 She has been working at the university: 2006. 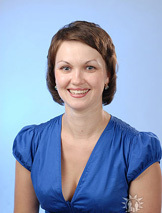 Higher education: in 2006 she graduated with honours Zhytomyr Ivan Franko State University and obtained a degree in "«Pedagogy and methodology of secondary education, Biology and Сhemistry» and gained the qualification in teaching biology and chemistry, valeology and fundamentals of Ecology (diploma TM No. 30487418 as of June 30, 2006). In 2007, she finished with honours education and qualification level «Magister» in this university with the speciality «Pedagogy and methodology of secondary education, Biology», and gained qualification of magister in teacher education, biology teacher (diploma TM No. 32862449 as of June 30, 2007). PG course and Doctorate: in 2012, she finished postgraduate study at the Department of Zoology of Zhytomyr Ivan Franko State University with the speciality 03.00.08 — zoology. Theme of the thesis: passed Ph. D. defense «Lobosea of Zhytomyr and Volyn Polesia (fauna, taxonomy, ecology)» and gained doctoral certificate of biological sciences (Cand. thesis No. 013718 from April 25, 2013) with the speciality 03.00.08 — zoology. Advanced training: postgraduate study from 2009 to 2012. Number of published works: 16 research papers. Publications in international scientometrical data bases — 2 (SCOPUS). Scientific domains: morphology, ecology and systematics of Lobosea Ukraine. She awarded of certificate of honour by Department of Education and Science of the Zhytomyr regional state administration for conscientious work, personal contribution in the training of highly qualified teachers and on the occasion of 95th anniversary from the foundation day of the university (October 17, 2014 р.). She lectures on: Genetics of the basics of selection, Molecular biology, Functional biochemistry. Position, academic degree and rank: senior lecturer of Botany department, biological resources and maintenance of biodiversity. Higher education: in 1981 she graduated Zhytomyr Ivan Franko State Pedagogical Institute (now Zhytomyr Ivan Franko State University) and obtained a degree in «Biology with additional specialty chemistry» and gained the qualification in in teaching biology and chemistry at high school and a title of high school teacher (diploma ZhV-I No. 068324 as of June 30, 1981). Advanced training: in 2010, at Department of ecology Zhytomyr National Agroecological University (ZNAU Order No. 30-A as of March 10, 2010). The subject of probation is «The formation of cognitive interests of students during the subjects’ studying of the biological cycle» (certificate № 22 from March 10, 2010 р.). Number of published works: 60 research papers. Scientific domains: teaching methodology of biology. She published 2 study guides with visa Ministry of Education and Science of Ukraine (co-authorship) and 1 study guide, approved by the Academic Council of Zhytomyr Ivan Franko State University. She lectures on: teaching methodology of biology. Position, academic degree and rank: assistant of Botany department, biological resources and maintenance of biodiversity, head mistress of agrobiological station. Higher education: in 2009, she graduated Zhytomyr Ivan Franko State University and obtained a degree in «Pedagogy and methodology of secondary education, Biology and Geography», and gained the qualification in teaching biology, geography, valeology and fundamentals of ecology (diploma TM No. 37150253). In 2009 she finished education and qualification level «Magister» in this university with the speciality «Pedagogy and methodology of secondary education, Biology», and gained qualification of magister in teacher education, biology teacher (diploma TM No. 37133623 as of June 30, 2009). PG course and Doctorate: in 2014, she finished postgraduate study at the Botany department, biological resources and maintenance of biodiversity Zhytomyr Ivan Franko State University with the speciality 03.00.17 — hydrobiology. Advanced training: in 2013 in the Ternopil Volodymyr Hnatiuk National Pedagogical University. (TNPU order № 81A from March 20, 2013). The subject of probation is «Peculiarities of organization scientific and technical, educational and pedagogical work in Faculty of Chemistry and Biology» (certificate number 57 of 04.25.2013). Number of published works: 3 research papers. Scientific domains: phytopathology, cuttings of deciduous plants. She awarded of certificate of honour by Department of Education and Science of the Zhytomyr regional state administration for active involvement in scientific research work of university and on the occasion of the Day of Science (May 16, 2013). She lectures on: Plant pathology, School teaching and research section, Ornamental floriculture. Position, academic degree and rank: assistant of Botany department, biological resources and maintenance of biodiversity. Higher education: in 2006 she graduated Zhytomyr Ivan Franko State University and obtained a degree in «Pedagogy and methodology of secondary education, Biology and Chemistry», and gained the qualification in teaching biology, chemistry, valeology and fundamentals of ecology (diploma TM No. 30324531 from June 30, 2006). In 2007 she finished with honours education and qualification level «Magister» in this university with the speciality «Pedagogy and methodology of secondary education, Biology», and gained qualification of magister in teacher education, biology teacher (diploma TM No. 32399428 from June 30, 2007). Number of published works: 2 research papers. She lectures on: Plant physiology, Plant ecology, Functional biochemistry. She has been working at the university: 2010. Higher education: in 2012 she graduated Zhytomyr Ivan Franko State University and obtained a degree in «Biology», specialization in geography and regional studies and tourism work, and gained the qualification of biologist, biology teacher, geography and ecology, organizer of regional studies and tourism (diploma TM No. 43586529 from May 31, 2012 р.). In 2012 she finished education and qualification level «Magister» in this university with the speciality «Biology», and gained the qualification of biologist, biology teacher (diploma TM No. 43563713 from May 31, 2012). Number of published works: 4 research papers. She lectures on: Plant physiology, Plant ecology, functional biochemistry. Higher plants systematics. The methods of extra-curricular activities and elective courses in biology, the solution issues in biology.